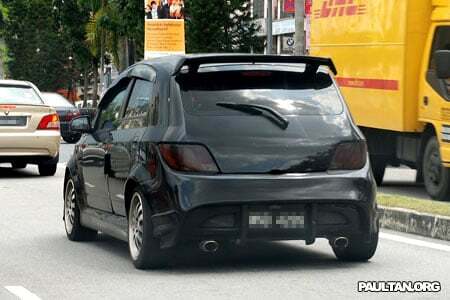 I spotted this very nice kitted out black Proton Savvy at the Mentari Business Park in Sunway this afternoon. Looks pretty nice, the owner went around what’s considered one of the Savvy’s biggest design “defect”, the Waja front lookalike embedded into the rear. Didn’t manage to get a photo of the front though, but it had a mesh grille. Previous Post: Mitsubishi Triton – 138ps!